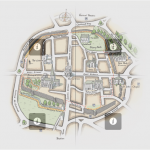 Musgrove House is within easy walking distance (0.7 miles) of the centre of Chichester, and with our off street parking, you can leave the car here while you wander round its ancient city walls, historic buildings, numerous shops, restaurants and cafés on offer, not worrying about parking charges! However, here are some of the larger attractions the City has to offer. 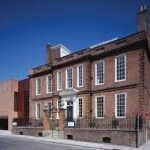 The Pallant House Gallery is home to one of the best collections of Modern British art in the UK, with works by Henry Moore, Walter Sickert, Ben Nicholson, Eduardo Paolozzi and Peter Blake. The core of this ‘collection of collections’ is Modern British art but other artworks figure also. Each group of works has been formed by different collections and different impulses and lends its own character to the collection, making the experience of Pallant House Gallery engaging, insightful and unique. Previous season shows have included ‘Gypsy’ and ‘Mack & Mabel’ – both of which have been nominated for a combined total of 12 awards at the 16th annual WhatsOnStage Awards. Imelda Staunton won the Evening Standard’s Best Musical Performance for her role in ‘Gypsy’. 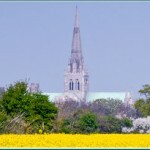 Chichester Cathedral has been at the centre of life in Chichester for nearly 1000 years. With unique architecture from each century of its life, this Cathedral is both ancient and modern, where original medieval features sit alongside world famous contemporary artworks. 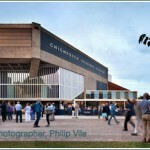 Here we have put together a small selection of local attractions with links to their websites. We hope this provides a good place to start, but as we have discovered, this is an amazing area for exploring as well; just get in the car and see what you can find! Feature a restored Walled Kitchen Garden, a spectacular 300 foot-long Edwardian Pergola, a Spring Garden and beautiful parkland walk and arboretum with views over the surrounding South Downs. The largest home in Roman Britain; a truly unique archaeological site. The seat of The Dukes of Norfolk and set in 40 acres of sweeping grounds and gardens, Arundel Castle has been open seasonally to visitors for nearly 200 years. Traditional buildings in a rural landscape that tell the story of the men, women and children who lived and worked in them over a 600 year period. Mentioned in the Domesday Book and also the Bayeux Tapestry, this picturesque village is steeped in history,and well worth a visit. It is one of the premier Blue Flag beaches in the country, offering wonderful views of Chichester Harbour and the South Downs beyond, the natural and unspoilt sandy beach of West Wittering has been a favourite destination for a family day out for generations. Originally a lifeboat from the cruise ship West-Wittering-windsurfingCanberra, Wingate has been decommissioned since 1980 and has been running tours here since the late 1980’s. Offers a fantastic course as well as excellent and friendly training and practice facilities.